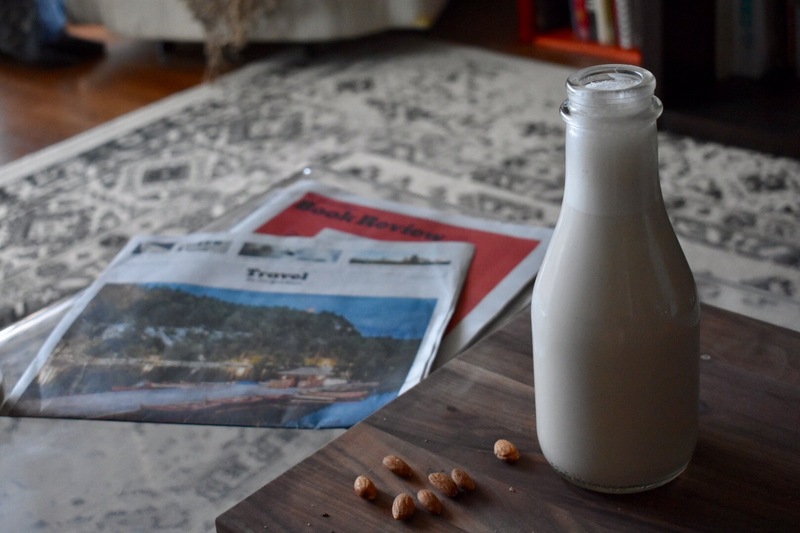 Once I started making my own almond milk, I felt like I had to tell everyone I knew. Suddenly I found myself peering into my friends’ refrigerators, looking for that arrogant gallon of store-bought almond milk. You know the ones. Fooling everyone with their seemingly tasty and “healthy” milk alternative. Did you know these popular brands are mostly just water with a few almonds? And of course, those unnecessary additives. If you like almond milk, it will not only benefit you financially to make it yourself, it will also do your body better — and it tastes so good. 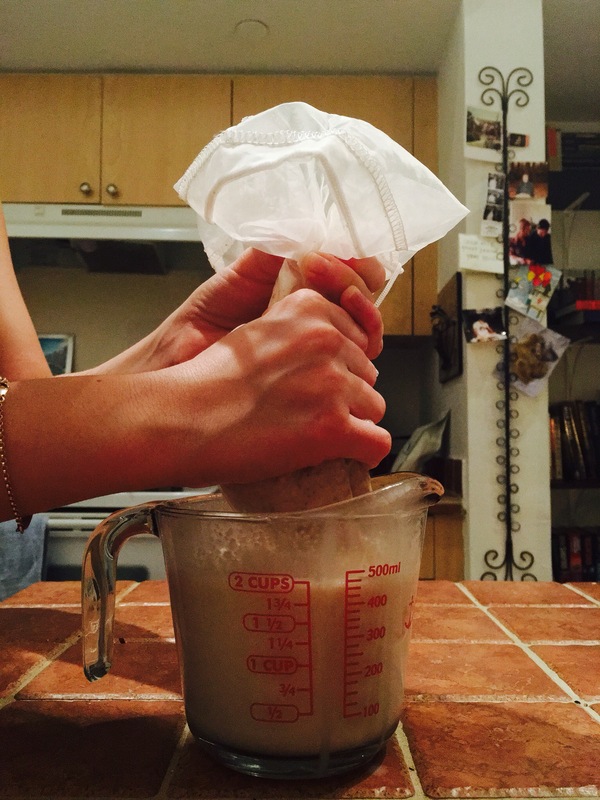 Also, if you are serious about making almond milk, you should consider purchasing an inexpensive nut milk bag. It makes making almond or any nut milk so much easier, and a lot less messy. The cheese cloth will work fine, but graduating to the nut milk bag will definitely up your almond game. This recipe keeps for about 7 days in the fridge. I make this weekly! Soak 1 cup almonds/nuts in water overnight, or at least 8 hours. 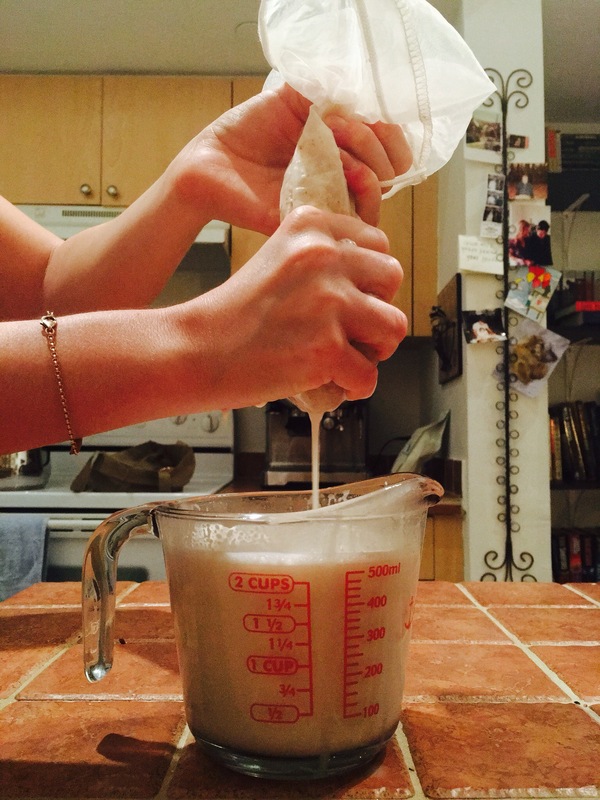 Strain milk through nut milk bag, or use a cheese cloth, into a large bowl or large measuring cup. Pour strained milk into sealable jug or container and keep in fridge for up to 7 days. Shake before using — separation is normal.